Invest in a Low-Cost Startup Franchise with a Proven Business Model That Has Created Many Success Stories! The Tutor Doctor franchise fee starts at $49,700 which includes a 4–6 week pre-training program (using e-learning technologies), a seven-day intensive training at the Tutor Doctor headquarters, as well as all ongoing business support. With no requirements for build-out, leases, equipment nor inventory, you can literally be up and running in less than 30 days! Our business is built so that our franchisees can experience immediate cash flow right out of the gate! Master Franchise opportunities are also available. Franchise fee varies by country but is typically between $197,000-$250,000 per Master territory. Each franchise candidate has a unique personal financial statement and individual goals. 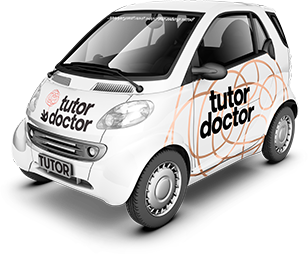 Tutor Doctor's Franchise Development Directors will work with you and study your situation and educate you on your best financing options. We have experience helping franchise candidates explore other sources of financing! We are looking for committed, hard-working individuals who want to capitalize on the continued huge growth in the private tutoring industry. If you fill out our contact form, one of Tutor Doctor's Franchise Development Directors will reach out to you to schedule a time to speak with you and begin the process of finding out if there is a match in what each other is looking for.